Mario’s approach to winemaking is essentially rooted in his grandfather Saverio’s methods, even if the equipment used today is modern. Once the grapes arrive in the cantina, they are de-stemmed and lightly crushed to break the skin in order to allow the juice to run out. The crushed grapes are then pumped into stainless steel vats where fermentation begins spontaneously, as the natural yeast present on the skin of the grapes begins to feed on sugar. The length of fermentation depends on the grape variety. Generally speaking, for wines that are destined to undergo more lengthy maturation, the fermentation is both longer and slower, which allows for a greater extract of tannin and other natural components that are necessary for ageing in both botte (large cask) and eventually bottle. Dolcetto, the grape variety that is always harvested earliest, undergoes a fermentation of just six to seven days and is ready to drink in the summer after the harvest. The fermentation of barbera grapes usually lasts from ten to twelve days. 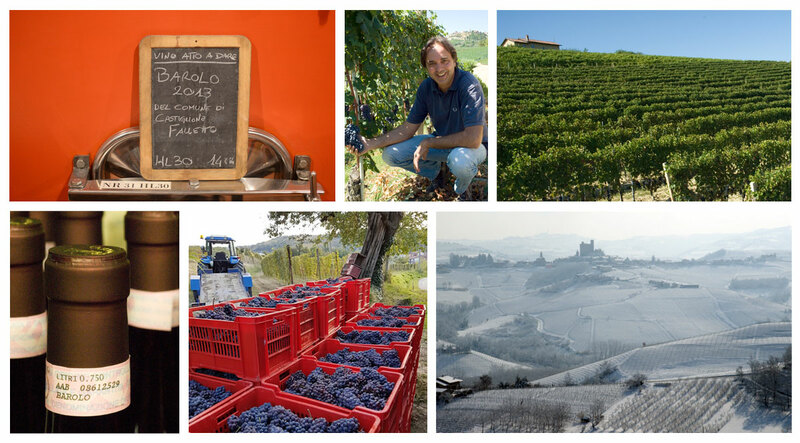 Nebbiolo for the production of Langhe Nebbiolo ferments for upwards of fifteen days, while fermentation of nebbiolo for the production of Barolo can sometimes last as long as forty days. After fermentation has completed, Dolcetto wine continues to mature in stainless steel vats. Barbera and Langhe Nebbiolo mature in a mix of large botte and used 225 litre barrique for one year. Nebbiolo destined to become Barolo is aged in large Slavonian oak casks for a minimum of two years, then the wine is assembled and further aged in cement vats for a year. Once bottled, all the wines age for a further six month prior to release. A winemaker has to make hundreds of critical decisions throughout the year, guided by their own house style and philosophy. At Cascina Fontana, care and respect for tradition shape such decisions and allow Mario Fontana to produce wines that are a genuine expression of the land from which they are born: Le Langhe.